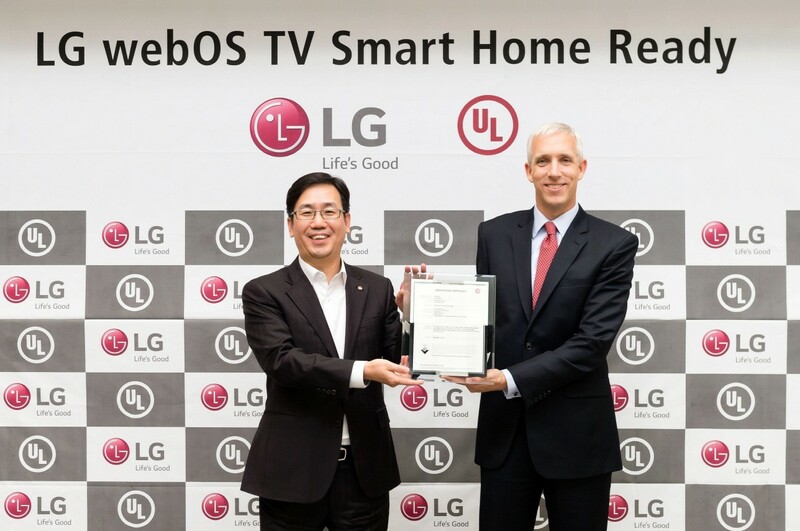 SEOUL, Dec. 23, 2015 — LG Electronics’ new webOS 3.0 operating system is not only widely regarded as the industry’s easiest and most intuitive OS for smart TVs, it is now also verified by UL, a leading global testing and certification organization, for its compatibility with Internet of Things (IoT) devices in the home. With a proprietary IoTV app, LG’s 2016 SMART TV lineup delivers smart home management functions via webOS 3.0 to control LG smart appliances through LG SMART TVs running webOS 3.0. Once connected, the status of the various appliances appear on the LG SMART TV’s display, acting as an interface between users and devices. Through the TV screen, users can control specific home appliances such as refrigerators, air conditioners or washing machines connected via Wi-Fi or wires. With webOS 3.0, homeowners can adjust the brightness of the lights in the room or change the temperature setting of the air conditioner. UL has verified a series of LG webOS 3.0-enabled OLED and UHD TVs and LG’s advanced IoT technology will be demonstrated at the Smart Home zone of LG’s CES booth (Las Vegas Convention Center, Central Hall #8204) from January 6-9.